Beating Australia in Cricket is dream ~ beating them in their own land is fantasy ! – way back in ODI 104 on 8th Jan 1981- Australia thumped India, bowling them out for a paltry 63 ! Dennis Lillee, Rodney Hogg, Lenny Pascoe were not the stars – it was Greg Chappen who had enviable figures of 9.5-5-15-5 !! 10 years later, Dec 8, 1991- in Benson & Hedges World Series at Perth, India beat Aussie by 107 runs. Krish Srikkanth, the man of the match scored a blistering 60, Aussies were bowled out for 101 with Ravi Shastri having figures of 6.5-1-15-5. At Melbourne rain threatened – but the result was to the liking of every Indian fan – an Indian victory and MS Dhoni performing well. The match had started like the other two: with a superb opening spell from Bhuvneshwar Kumar. He got one to bounce outside off to take Alex Carey's edge to second slip, where Kohli made good ground to claim the catch, and then there was the dismissal of Finch. He tried everything, standing out the crease and more, yet failed again. In 622 ODIs played in Australia since the very first took place at the MCG in 1970-71, no-one has ever bettered the bowling figures of 6 for 42 claimed by Yuzvendra Chahal for India against Australia on January 18, 2019. He now shares that lofty perch with another Indian, Ajit Agarkar, who plucked his one haul of same at the MCG in January 2004. The score card reads : India 3 for 234 (Dhoni 87*, Jadhav 61*) beat Australia 230 (Handscomb 58, Chahal 6-42) by seven wickets. India has had a highly successful trip downunder – today, the team had 3 playing their first match and two of them performed exceptionally well. Yuzvendra Chahal's career-best 6 for 42, the joint best ODI figures in Australia, set up a seven-wicket victory to take the series. Chahal's haul left a modest target but a slow pitch made scoring tricky as MS Dhoni, whose role has dominated the narrative of the series, scored his third half-century in three innings - while being given three lives - and the recalled Kedar Jadhav produced an excellent hand. Chahal's second ball of the match began Australia's downfall when he had the in-form Shaun Marsh stumped, and he claimed three wickets in each of his two spells, surpassing his previous best of 5 for 22 against South Africa at Centurion. After scoring three-successive fifties, including a series-clinching 87 off 114 balls from No. 4 at the MCG, MS Dhoni said that he's ready to float in the middle order. There are times, when you need Dhoni to ensure that the team is not all out inside the allotted overs.. .. In the series opener in Sydney, he walked in at No.5 after India were reduced to 3 for 4 within four overs. He weathered many attacks in a chase of 289 before falling in the 33rd over. He batted at No. 5 in the must-win second ODI for India and struck an unbeaten 54-ball 55 to force the series into a decider. 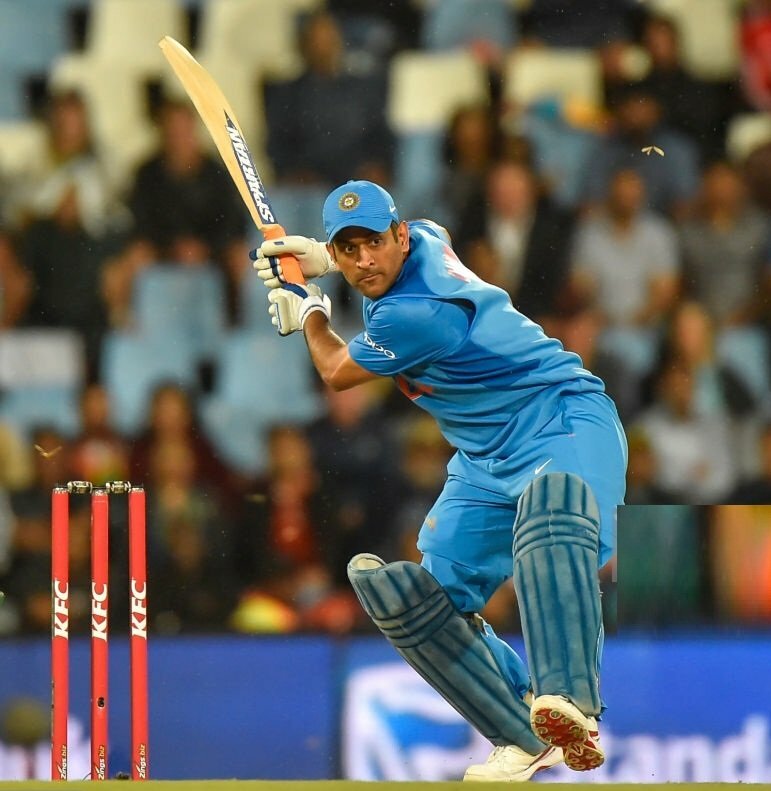 In the third match on a tough pitch, Dhoni was dropped twice ended up making 87* - now in this ODI series, he has aggregated 193 at an average of 193 !! – he is the man of the tournament, though Chahal had an exceptional performance today. ~ if you had guessed it was Ambati Rayudu. The part-time offspinner now has to get his action tested within 14 days, but can continue bowling in international cricket until the results are known. Virat Kohli used him for a couple of overs in the middle of the innings and when they went for 13 runs, he was taken off. 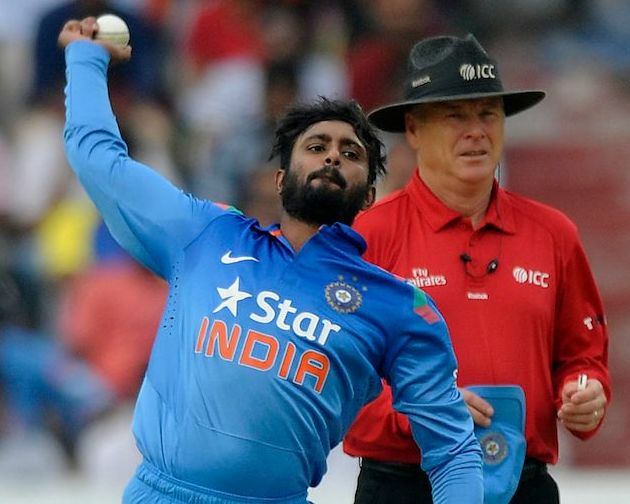 Rayudu has only ever bowled in nine of his 46 innings in ODIs. Abdur Razzak (Bangla); Shane Shillingford, Marlon Samuels, Sachitra Senanayake, Kane Williams, Saeed Ajmal, Prosper Utseya, Sohag Gazi, Taskin Ahmed, Arafat Sunny and .. .. ..
.. .. … interestingly – in April 1983 at Bridgetown Test, West Indies required a solitary run to win. Greenidge and Haynes opened and the bowler was ….. Syed Kirmani, the wicket-keeper. His only ball was reported ‘chucking’ and WI won with that extra. Thus Kirmani was not hit for any run of his bowling … !! .. what will the Selectors and coach Ravi Shastri offer for not picking up Kedar Jadhav and Yuz Chahal earlier ! Captained by the irresistible Virat Kohli, the RCB IPL 2019 Auction will be aiming to break their title drought in the IPL. Having retired from international cricket, the onus will be on AB de Villiers to bat at his absolute best. They have taken huge punts on big-hitters like Shimron Hetmyer and Shivam Dube. Tim Southee and Umesh Yadav bring experience and quality to the pace attack.